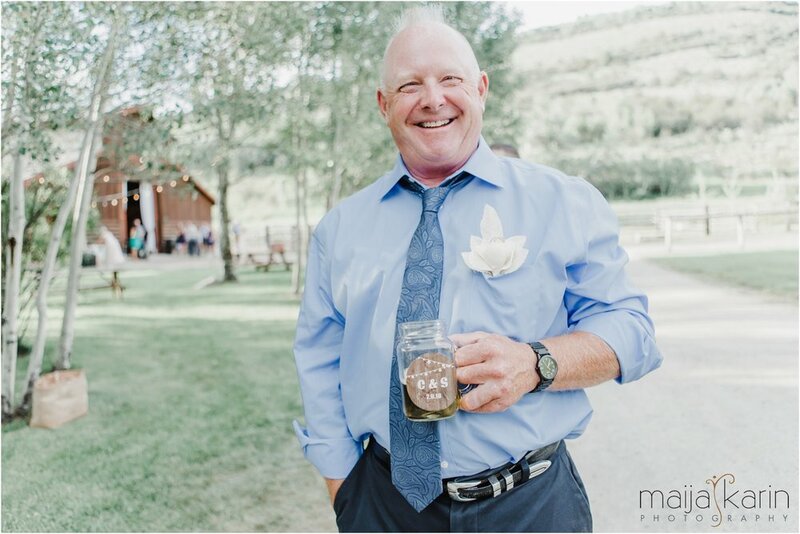 Last summer, I had the amazing opportunity to act as wedding photographer at Sarah and Christian’s Moose Creek Ranch wedding at the base of Teton Pass in Victor, Idaho. 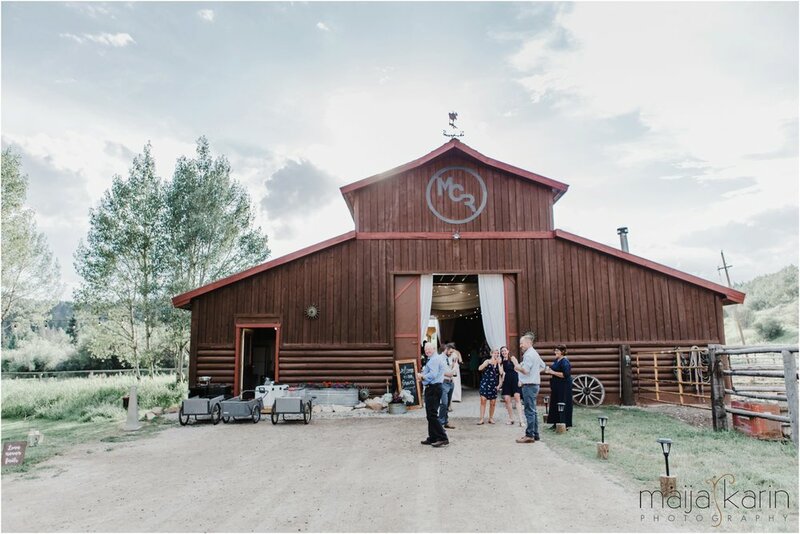 This was such an amazing little rustic wedding at the base of the Grand Teton Mountains and it was a blast to be a part of! If you haven't ever had the pleasure of visiting the Grand Teton Mountains, I highly recommend you put it on your to-do list. You won't be disappointed! These mountains tell a story and they memorize you. 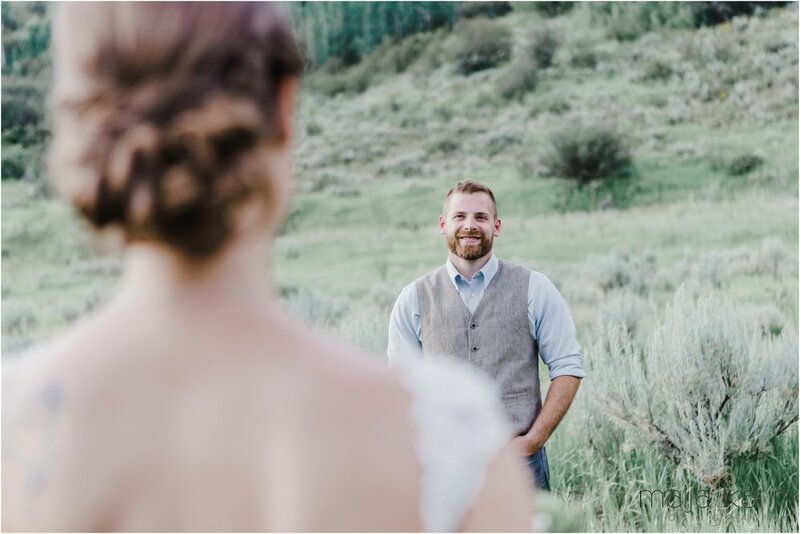 Needless to say, I was over the moon when Sarah and Christian contacted me about their wedding to be held at Moose Creek Ranch, which is just on the other side of the mountains on the Idaho side. They wanted to do photos in the Grand Teton National Park, just on the other side of the state line in Wyoming. Because it's a bit of a trek over a pass with some serious down/uphill grades, we decided to forgo their getting ready shots to make sure we had plenty of time to utilize the epic backdrop of the Tetons! 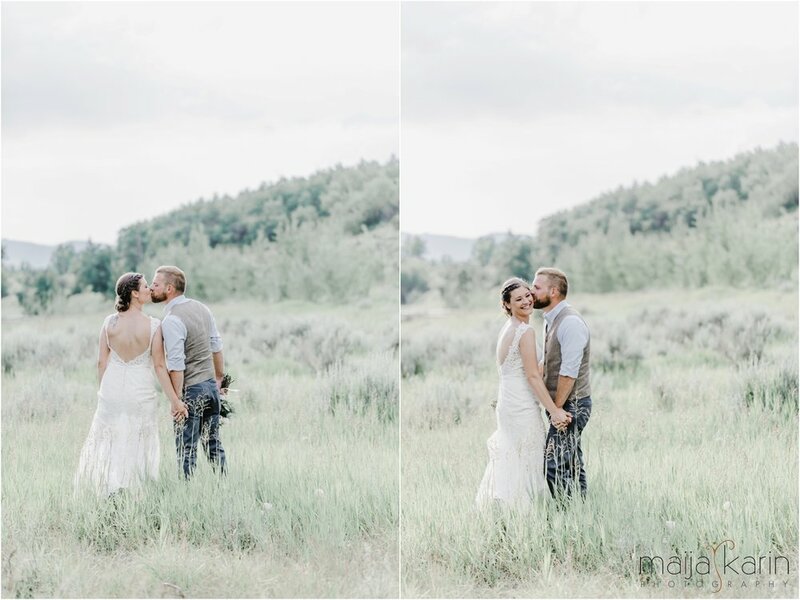 I love me some getting ready photos, but it was 110% worth skipping this part so we could capture the majesty of the mountains along with the historic barns and rivers that flowed through the area. I was in photographer heaven! What truly made this whole journey heavenly was meeting Christian and Sarah! 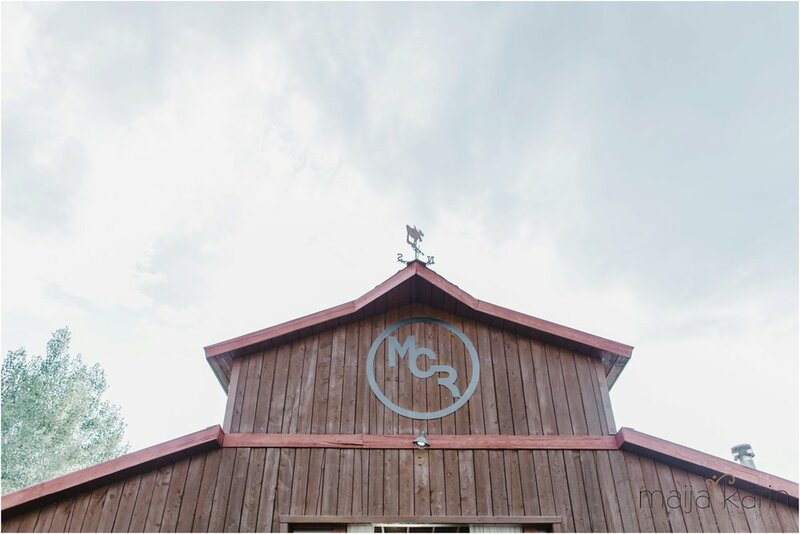 We didn't meet until the moment we found ourselves at Mormon Row Barn for their first look. 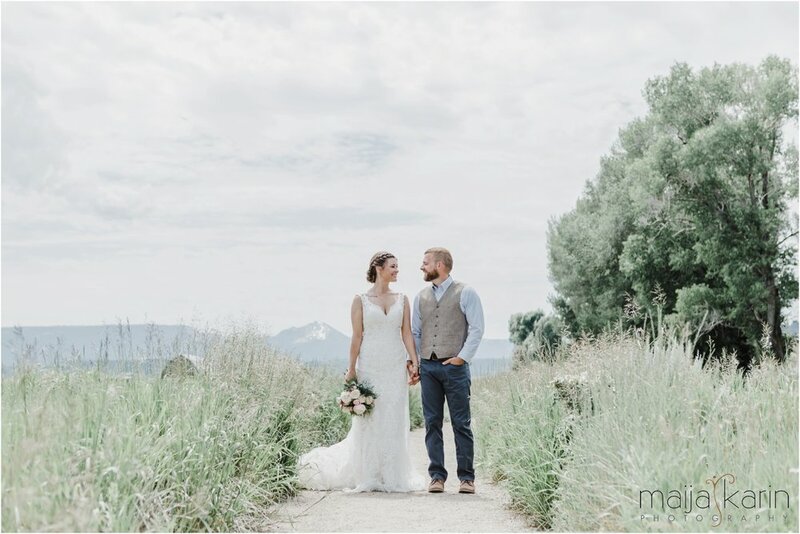 This was a first for me, to both meet a couple at their first look moment and also out in the wilderness at a historical barn dripping in character and surrounded by epic mountains. Just one of the many things I love about my job - there is never a dull moment and always time for firsts! After their first look, we walked around the area laughing, sharing a bit about our stories and swatting all of the many bugs away. Believe me, there’s nothing more romantic than some bugs flying in your face and up your dress. Lol! 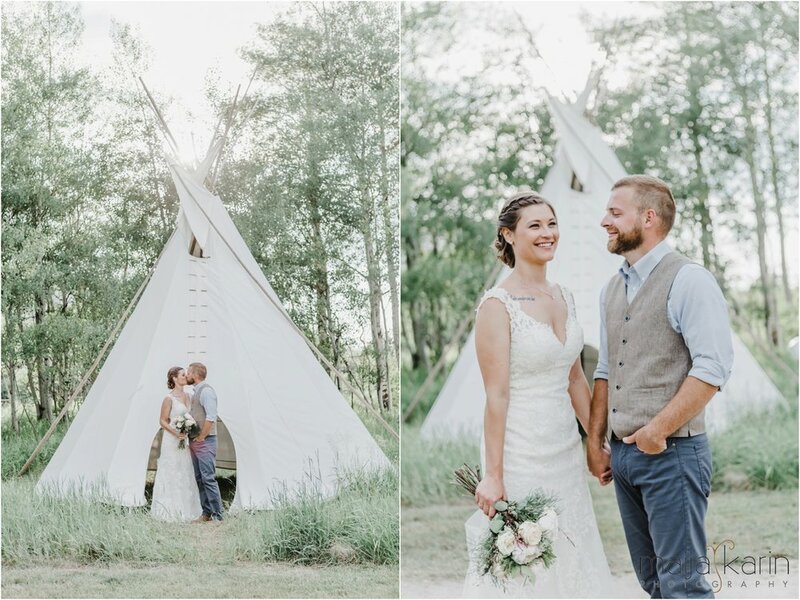 We got a little sweaty from the July heat, but it was totally worth it for the photos! We were also grateful for clearer skies on the day of the wedding. It had been very smoky because of the severe fires from the North. Sarah, Christian and their families are all from Minnesota, so this was a destination wedding for them. They all packed up their cars and made the 16+ hour drive from Minnesota to the Grand Tetons to celebrate! I felt very welcomed by everyone in their tribe, like I was part of the family. I even got to ride back from our Teton shoot in the front seat of Sarah and Christian's car with her two closest "helper" friends. They gave me the front seat! I work with the sweetest people! "Life has taught us that love does not consist of gazing at each other, but in looking together in the same direction." Sarah and Christian, thank you both again for trusting me to capture your special day! Thank you for giving me a glimpse into your sweet, passionate love! I wish you both nothing but the best in your future together and I know you’re going to do great things. 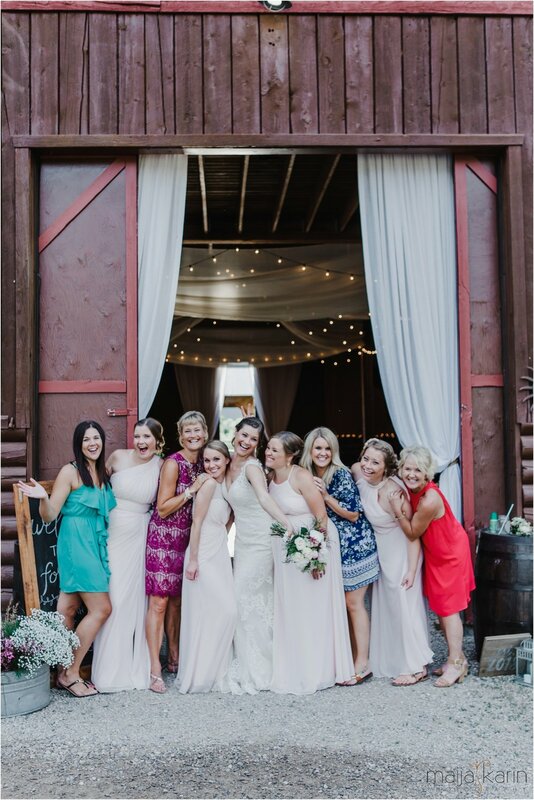 "Maija was amazing to work with! She had so many tricks to make us comfortable and to make the pictures look natural and not staged! Maija was also great with communicating leading up to our wedding! I can't rave about her enough!"